weight loss plan. Its high protein and mineral content helps curb appetite by making you feel fuller, longer. Both the calorie and caffeine are 0. Cool it after exercise and a bath! ※ Please do not eat the allergy to soba. In the last decade, as the Japanese food craze began to take root in NY, soba (buckwheat) noodles have become a common food item in the city. Soba, like many other types of Japanese cuisine, is well-regarded as healthy and the distinct flavor of soba has also become a more popular ingredient in modern western cuisine. 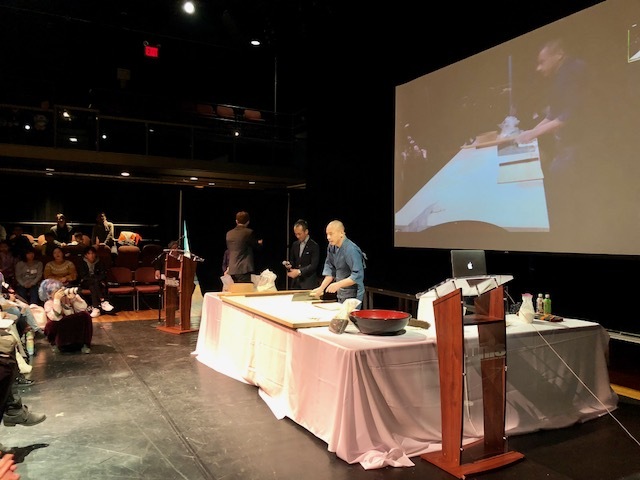 Now with the soba making class offered at New York City, where master soba maker, Mr. Shuichi Kotani will give you hands on training you can always have quality soba right in your own home. 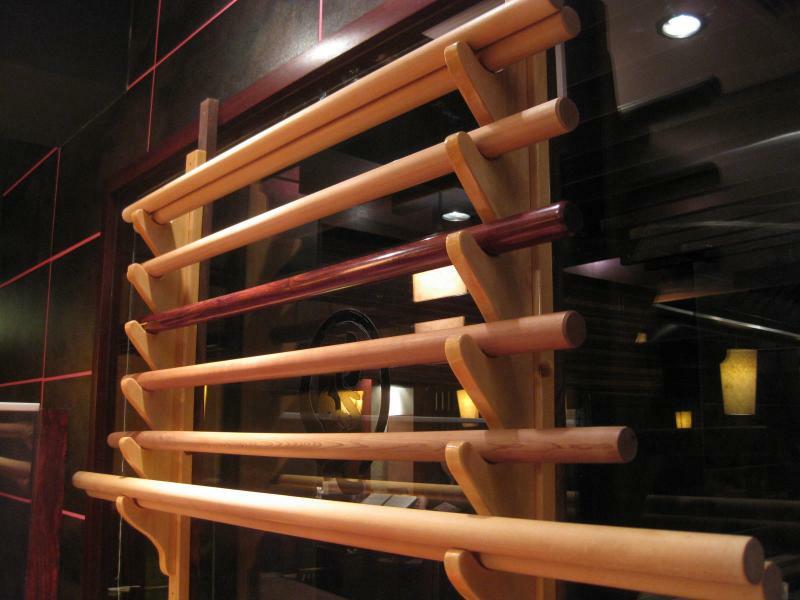 The soba making class is a semi-private (approximately 3 people per class), two and a half hour lesson. 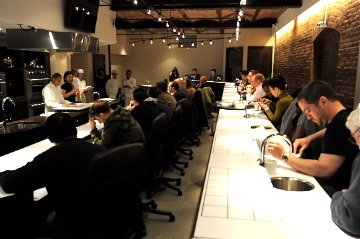 The class covers the history, nutrition, and hands-on training on how to make soba from scratch which includes the steps: kone (kneading), tatami (rolling), and kiri (cutting). 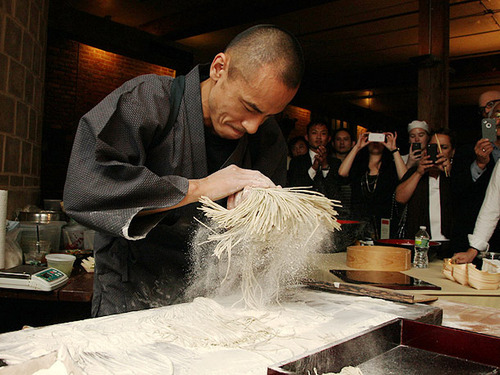 Because soba flour does not include gluten, it is one of the hardest noodles to make by hand. In fact, during the process, soba must be allowed to absorb moisture equally and then be kneaded into the shape of a chrysanthemum flower which is said to be the most difficult aspect of all. Despite the challenge, Mr. Kotani, believes “Once you know this method, you can make any noodle in the world.” At the end of the class, students can take with them, their own hand made soba and Mr. Kotani’s special sauce and spice in addition to a solid education that will come in handy for a lifetime. For the class, you can choose from two time slots, 11 am-1:30pm. In addition to his classes, Mr. Kotani has also developed a hand-made and beautifully designed D.I.Y. 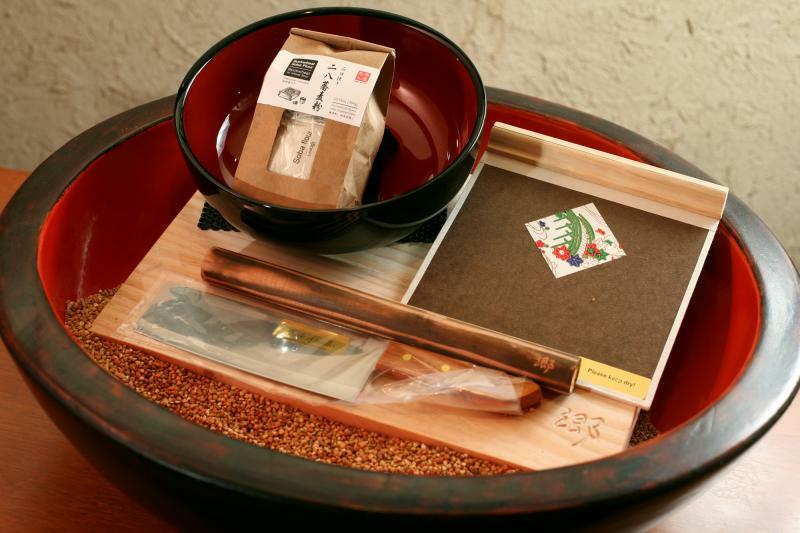 soba making kit for beginners, that allows anyone to make soba in their kitchen. The Real 100% Buckwheat soba making class is a semi-private (approximately 1-2 people per class), two and a half hour lesson. 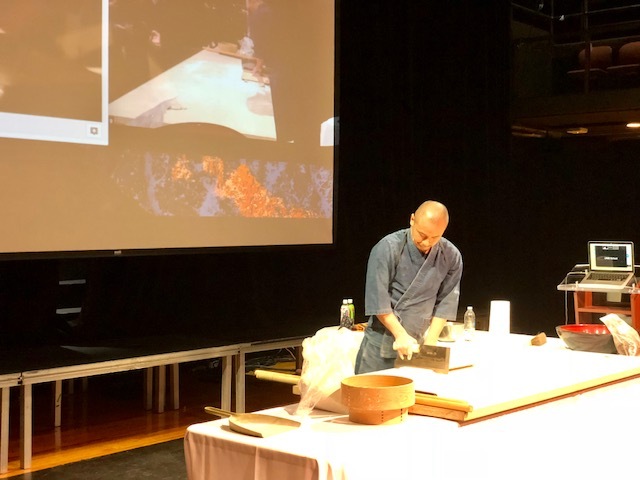 The class covers the history, nutrition, and hands-on training on how to make soba from scratch which includes the steps: kone (kneading), tatami (rolling), and kiri (cutting). Because soba flour does not include gluten, it is one of the hardest noodles to make by hand. In fact, during the process, soba must be allowed to absorb moisture equally and then be kneaded into the shape of a chrysanthemum flower which is said to be the most difficult aspect of all. Despite the challenge, Mr. Kotani, believes “Once you know this method, you can make any noodle in the world.” At the end of the class, students can take with them, their own hand made soba and Mr. Kotani’s special sauce and spice in addition to a solid education that will come in handy for a lifetime. For the class, you can choose 11 am-5pm. In addition to his classes, Mr. Kotani has also developed a hand-made and beautifully designed D.I.Y. 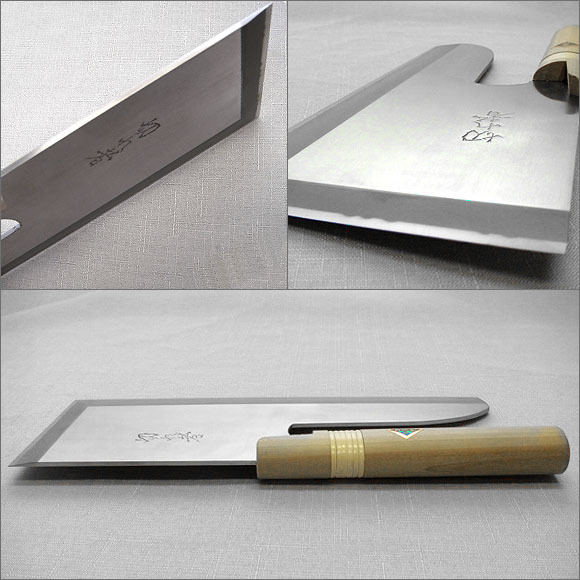 soba making kit for beginners, that allows anyone to make soba in their kitchen. 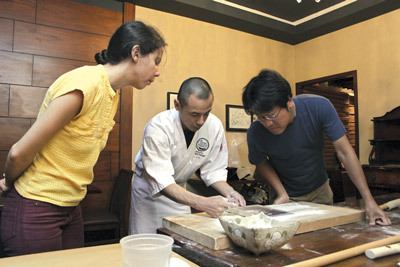 Online demonstration of making soba noodle for student from New York kitchen studio. 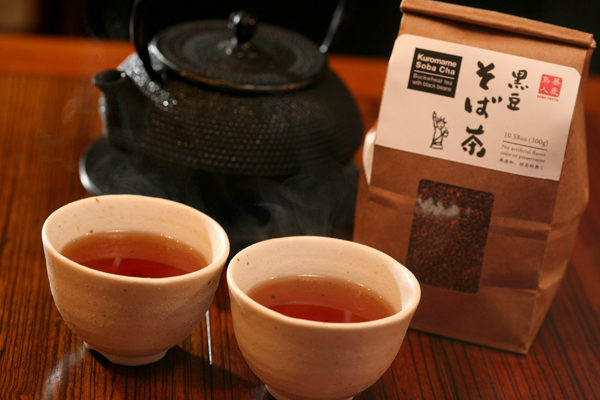 Tasting : We will send your school or company about ingridients for tasting real soba for event. For the class, you can choose 11 am-4pm (5 time). 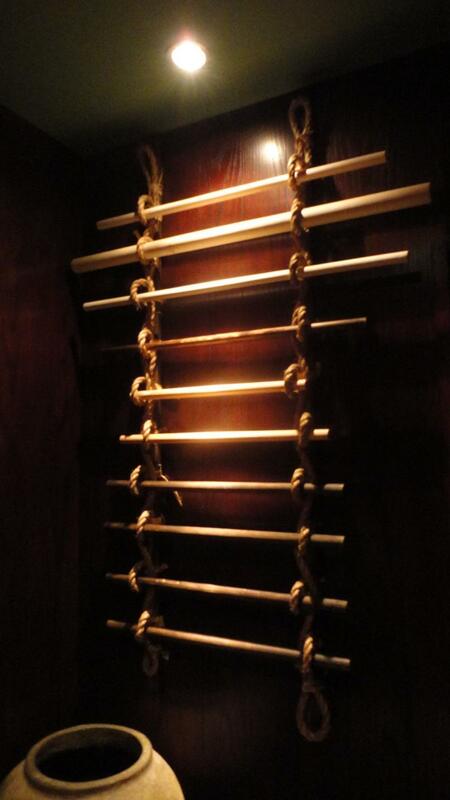 In addition to his classes, Mr. Kotani has also developed a hand-made and beautifully designed D.I.Y. 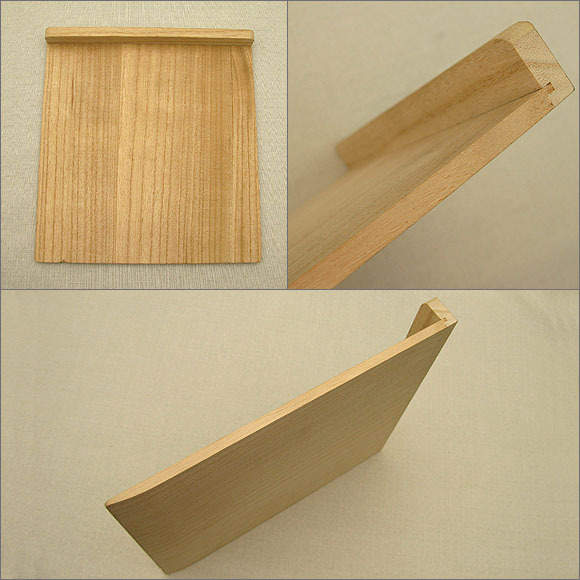 soba making kit for beginners, that allows anyone to make soba in their kitchen. 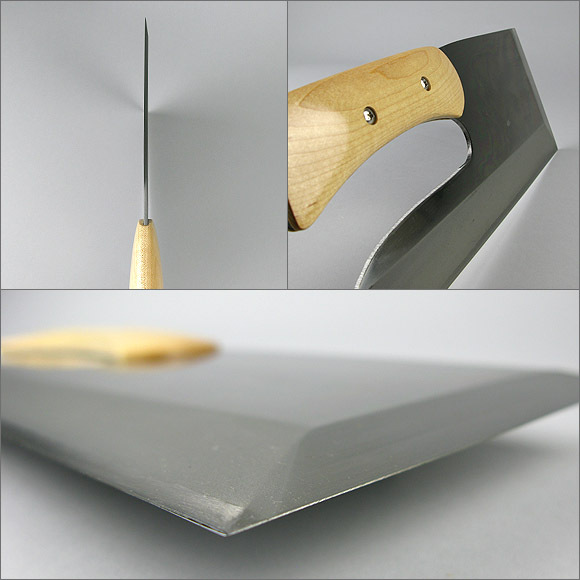 Including making soba pro tool. WORLDWIDE-SOBA,INC. help to Strategy of your Restaurant Business. 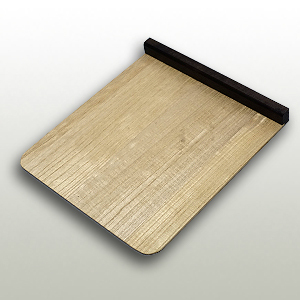 Because it uses MV steel gold paper even in stentless, it boasts a reasonable cut. 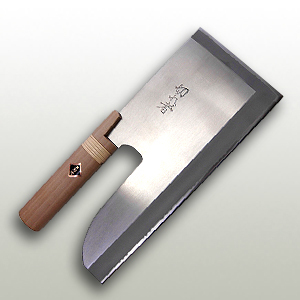 It is a kitchen knife that is hard to rust and hard to rust. 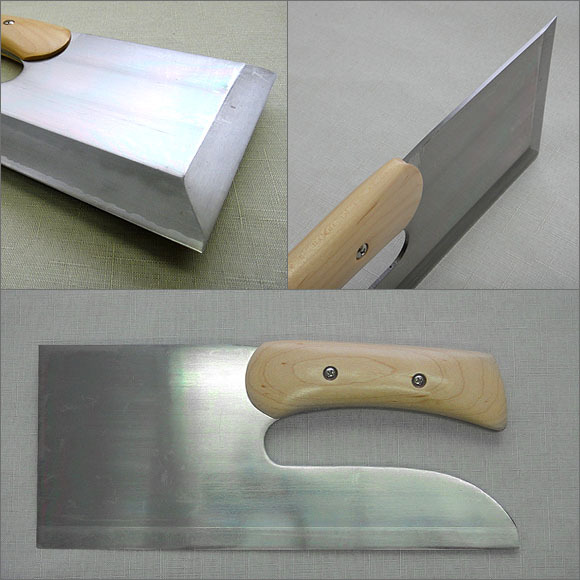 Ideal for those looking for a light knife. It corresponds to soba of about 1 kg. 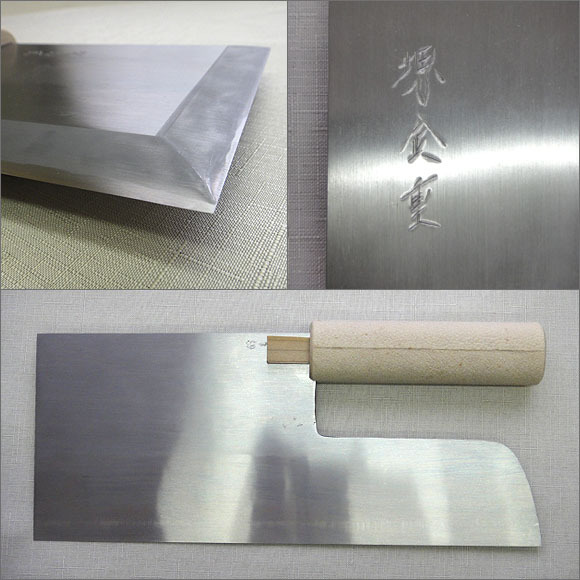 It is similar to stainless steel machine but it has a sustainability of sharpness, easy to sharpen, excellent in cost performance and uses yellow paper. 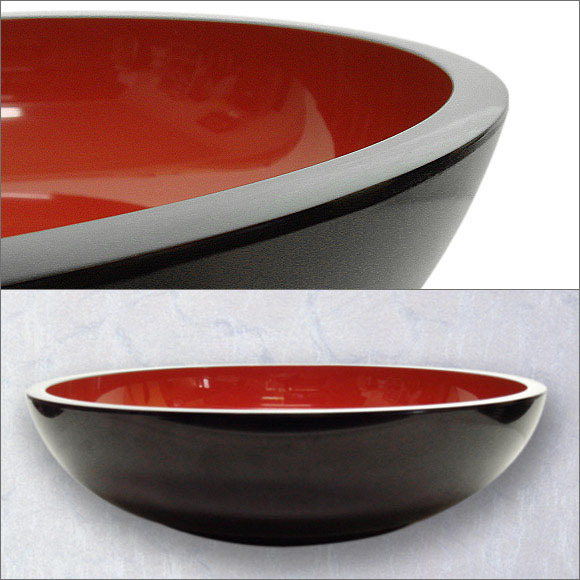 The handle is a finish with urethane paint that made use of the grain of the maple. 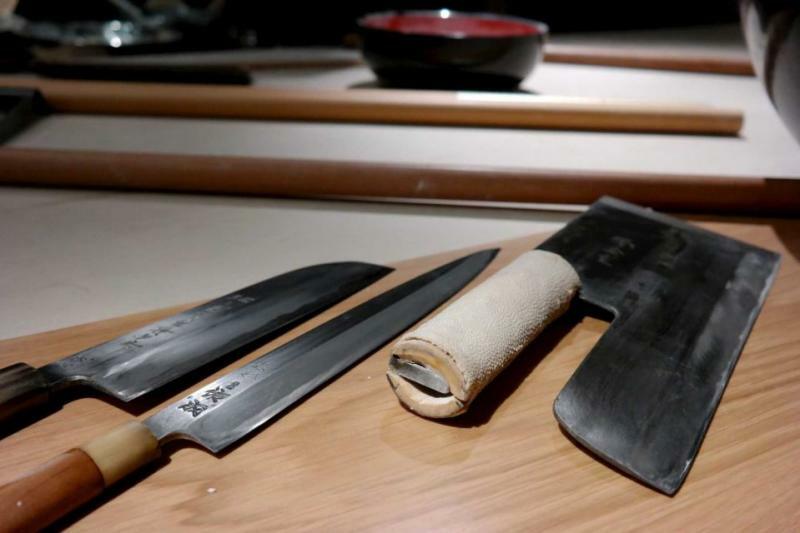 It corresponds to soba no less than 500 g.
The buckwheat noodles that took heavy weight to the front center of gravity, the sharpness which made the hard iron and soft iron into a single blade is preeminent. 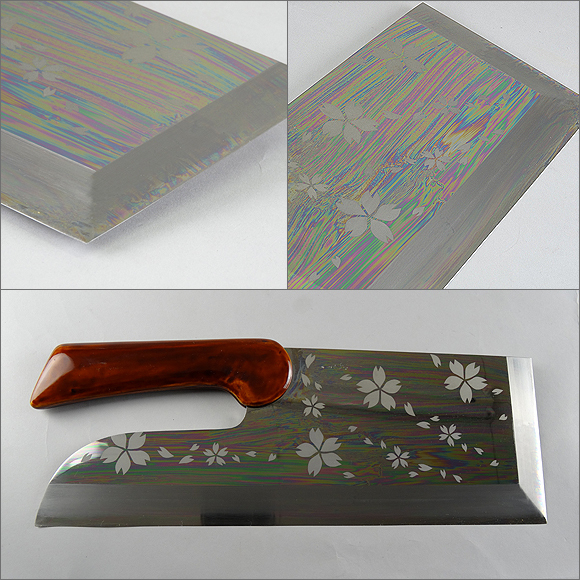 The blank sheet is steel which is difficult to spill the blade, and ensures the durability so much. 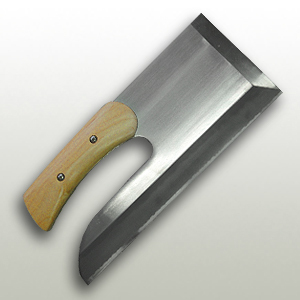 Produced by Kaneka craftsman, it boasts outstanding sharpness and durability. 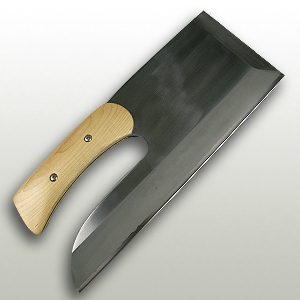 Using a sharp, clean white paper, polish it and make the appearance of the blade better. 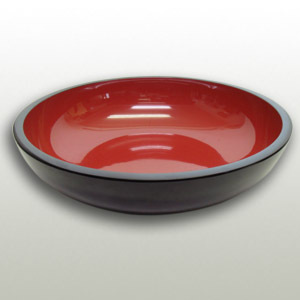 Uses rare and non-slip shark shell, it can accommodate buckwheat of 1.5 kg or more. 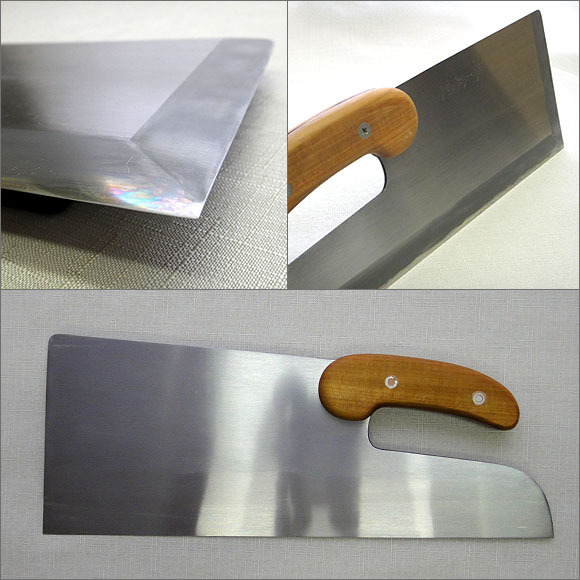 Kiryu style, sharpness, durability is retained, and distortion does not come out We finished it to the light weight of the limit. 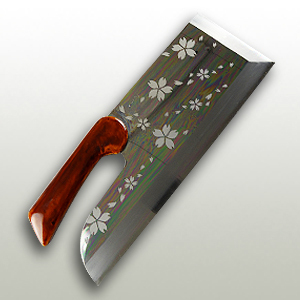 The handle which finished with wooden lotus lacquer on handmade hinoki pattern realizes the beauty and durability of appearance. The material of steel is Silver No. 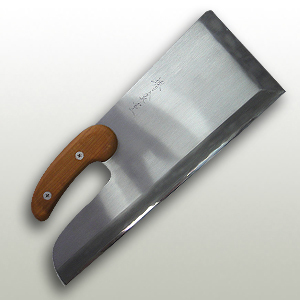 3 material, sharpness and durability are good, furthermore, rust resistant features are realized, the highest grade comfort in the kitchen knives has been realized. It corresponds to buckwheat no less than 1.5 kg. 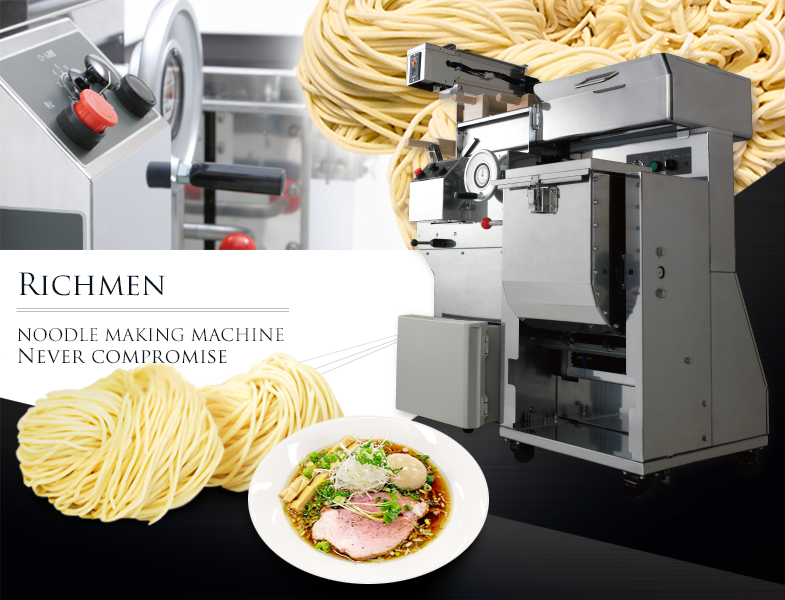 NIHACHI is a small countertop machine, compact and reliable; it is suitable both for restaurants and for people who like good home-made Soba noodle. 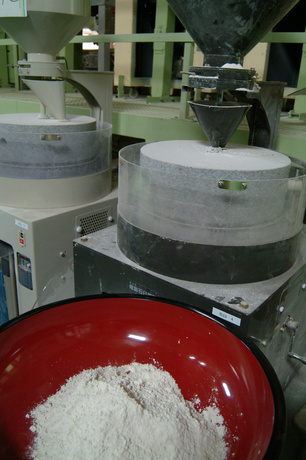 NIHACHI can knead by using any kind of flour and it produces long and short Soba shapes changing the die. 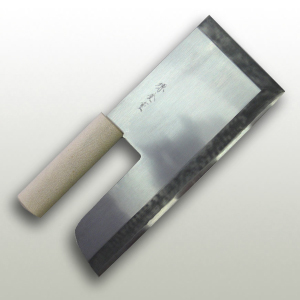 The machine can be supllied (on request) with a rotating cutting knife for short Soba shapes. 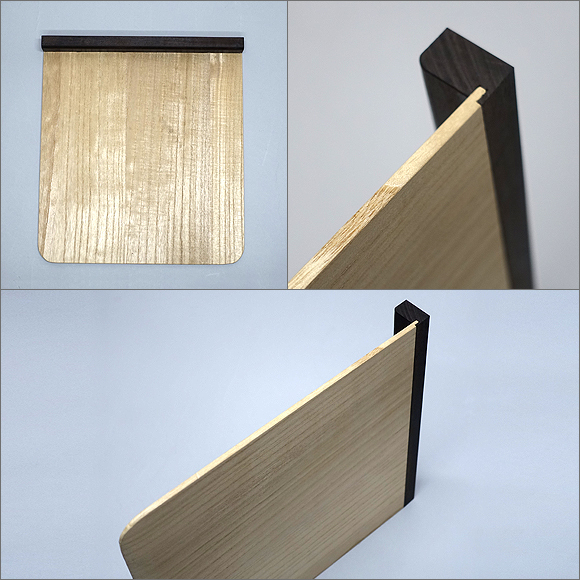 Its external structure is made of anodized aluminium and the parts that are in contact with Soba are made of stainless steel; it includes a safety button and a switch light. It respects all accident prevention regulations in force. All products are checked properly what our craftsman and finished by hand one by one. So, I will replace them as soon as the goods have any problem. If you are allergic to buckwheat is not available for purchase. I will send you a confirmation email after purchase. Take at least a week or more to reach the product to the customer. If you do not need the carriage fee will take your products. Thank you very much for your understanding. We hope in the mail if you have any questions about the product. Enjoy for making fresh soba noodles.